This Is The Divorce Advice Your Husband Doesn't Want You To Know About! You're smack dab in the middle of a divorce and need to make sure all your bases are covered! The 3 mistakes that will seriously compromise your divorce. How some men will fight for custody so they won't have to pay child support. Tips to avoid unfair property settlements and outrageous attorney fees. Why relying totally on your lawyer may not always be the best idea. Critical things you need to remember before signing your divorce papers. "All of a sudden I'm starting to get scared. Will I have enough to retire on? Am I entitled to half of his stuff? What about alimony? I am mentally and physically exhausted at this point and I am not sure what to do... Is there anyone else out there that is feeling this way?" Will I be forced to leave this so called marriage with nothing? He told me he would take the kids from me if I divorce him. Can he do that? How can I plan for divorce? What should I do first? How can I financially survive until the papers are signed? How do I get him to pay the bills on time and not mess up my credit? And I know from my own experience just how much getting divorced can affect a woman's life. My ex and I had already been split for a year when I filed for divorce, so I didn't think it would be a big deal. Even though he'd been off doing his own thing, getting served with divorce papers came as a total shock to him. Working my tail off to support our two boys? Getting all the paperwork together? And trying to keep my sanity! My Life Became A Nightmare! When it seemed like things couldn't get worse, HIS business got audited by the state. Which meant that I had to deal with even more paperwork, meetings, and headaches. Let's just say the result of that ordeal ended up haunting me for a long time. My life seemed so out of control. I was overwhelmed by all the decisions I had to make and emotionally raw from dealing with the breakup of my marriage. And I was frustrated by the lack of resources to help me make good decisions. Unfortunately, I did make my fair share of mistakes during and after my divorce. After learning some hard lessons along the way, I realized that I wanted to help other women avoid some of the mistakes I made and know that they aren't alone in their journey. As a result, I founded WomansDivorce.com in 2001 as a way to help all women dealing with divorce and separation issues, and have continued to do so ever since. 1. They believe their husband will treat them fair. But the truth is? most men look at divorce as a competition to be won at any cost. You can level the playing field if you know how the system works. 2. They don't know how to begin fighting for their rights. Women often get screwed because they don't know what they're entitled to. Wouldn't it be nice to have it all lined out so you know what's reasonable and what's out of line? 3. They want to get it over with as fast a possible. Unfortunately, doing so often leads to regrets after the divorce is over. Learn how to avoid the common pitfalls that many women make. Let's face it, getting divorced is stressful and heart breaking. And you may be tempted to just throw up your hands and walk away. Outrageous attorney fees, unfair property settlements, and months of battling everything out in court. It's normal to feel snowed under by all the questions running through your mind. You know you need dependable information before you make any decisions, but where do you get it? For most women, advice from friends just isn't enough. Going to the library is an option. But most of the books out there are full of lawyer type stuff. Before you know it, you're dealing with information overload. On top of emotional turmoil, upset kids, and an uncooperative spouse. And sure, you can get tips about divorce on the internet. But do you really have time to sort through all the junk while looking for reliable information? Wouldn't it be nice to have everything you need in one place... presented in a way you can understand it? 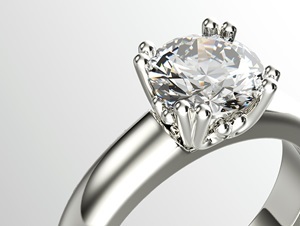 Divorce 101: A Woman's Guide gives you all the crucial information you need during divorce. It will guide you through the challenges and support you every step of the way, from pre-divorce planning to taking care of everything after it's all over. Based on the actual questions and concerns of real women just like you, this easy-to-follow guide will help you understand what you really need to know when splitting up in the United States. How to get ready for divorce if you haven't told your husband yet. A little planning goes a long way, and these strategies will help during the legal process and after everything is finalized. Learn how to get your finances lined out before you ever file. Even nice guys can turn into jerks when it comes to splitting up and you need to be prepared before things get nasty. How to be on the look out for the dirty divorce tricks that are played to hide assets and take control of the divorce. The reasons why you shouldn't date before your divorce is over. Find out why you're putting yourself at a disadvantage if you do. Why planning is so critical before you file for divorce, especially if your husband is abusive. These steps can give you a game plan if things get out of hand. Discover the pitfalls of not being represented by your own lawyer. And learn how you can get your husband to pay for your legal fees. Get tips on choosing the right lawyer for your divorce and what you need to ask during the initial consultation. Be able to side-step some of the common problems after your divorce is over. Understand the various tax issues, how to enforce your decree, and what issues you'll need to address when starting over. "A book that's like the smartest best friend you ever had to help you through the most difficult situation you ever had to handle"
Wouldn't it be great to have a resource that feels like a friend, to hold your hand through the entire divorce, to guide you, inform you, warn you, prepare you, encourage you, and always be there to consult and give you answers to almost any question you might have from the beginning to the very end of the process? Divorce 101 is that super smart friendly resource; it is the most comprehensive, user friendly, information packed, practical guide any woman going through divorce should have by her side. These Easy-to-Use Worksheets and Templates Will Arm You With The Information You Need Every Step of The Way! Personal Information Worksheet - Organize all the documents you need for your divorce, saving time and repeated trips to your lawyer's office. Income Worksheet - Get the true picture of your spouse's income so you can provide the proof you need to get support. You can't always trust him to tell the truth. Asset and Debt Worksheets - Calculate the bottom line on assets and debts so you can get your fair share. Learn the difference between separate and marital property. And discover what that needs to be taken into consideration when looking at the big picture. Living Expenses Worksheet - You'll need these figures to determine the amount of child support and alimony possible. You can also use the worksheet to get your finances under control once the divorce is over. Lawyer Interview Worksheet - Getting a good lawyer is vital to getting a good divorce. Find out how to narrow the choices and what to ask during your first meeting so you can get the best lawyer for your case. Parenting Plan Template - Minimize stress and confusion by using this template to write a personalized parenting plan. You can decide what's best for your kids, while outlining what's expected of each parent, and setting up a visitation schedule everyone is comfortable with. Divorce Agreement Checklist - Make sure all your bases are covered with this handy checklist. It includes all the issues relating to your children, splitting assets and debts, alimony provisions, modifications due to divorce, and all the other crucial aspects you'll need to remember before signing those divorce papers. My husband had a bad habit of not paying bills on time. So I took on all the joint debts in our divorce to protect my credit. Good in theory, unless you live in a community property state. After my divorce was over, I found out that I was responsible for his overdue credit card bill (one I didn't even know he had). And remember that state tax audit? I ended up having a lien placed on my home and vehicle because of back taxes owed on HIS business. Talk about unfair. Learn some of the things you can do to prevent this from happening to you. Understanding US property laws and how they work so you don't get taken advantage of. Adopting the right attitude when working out the details of your settlement. Learn different negotiating strategies to help split everything as painlessly as possible. Understanding the ins and outs of who should keep the house and how this should be handled. Deciding whether you should accept a settlement offer, even though you might get more if you went to trial. Discovering how retirement assets are divided. You'll also learn what a QDRO is, why you need one, and how it can be used to enforce support agreements. Recognizing how business assets and professional degrees can affect your property settlement. Understanding how bankruptcy can impact your divorce. Find out if you should go through bankruptcy alone or together. Or if it's better to just get the divorce over with before filing for bankruptcy. Realizing why walking away from the whole situation and letting your husband have everything can come back to haunt you later. Knowing how joint debts should be handled so you can protect your credit. Learning why you should include an indemnity clause in your divorce to protect your finances in the future. "Make sure you get your fair share...."
Custody is one of the biggest concerns for most women going through divorce. After all, it's not unusual for a husband who's never been involved in taking care of the kids to suddenly demand custody. I went through this myself. My ex started fighting for custody of our oldest son when I filed for divorce. And this was from a man who wouldn't even change a diaper unless no one else around to do it. It turns out that one of his helpful buddies told him he wouldn't owe support if we split custody of the kids. Luckily I was able to keep both boys with me so they could grow up together. If your husband is acting like he's up for father of the year award, be on the lookout for ulterior motives. DIVORCE 101 can help you understand how custody in the United States is decided and work out a visitation schedule that's best for you and the kids. If your ex will be fighting for custody, get tips on how to prepare for a child custody battle and learn what to expect from custody mediation. Women often ask me how much child support they will get after their divorce. The answer is that it depends on where you live. You see, each state has a different method for calculating child support and you need the specific formula to figure it out. To make things simple for you, you'll get tools to help you calculate how much child support you can expect. On top of that, you'll also learn the steps you can take if your ex doesn't pay the support once your divorce is over with. "This book is a Must Have..."
This book is a must have at the beginning of a divorce. Things don't always go well for women, as we often aren't as knowledgeable about the law and what can happen in a divorce. There was a lot of information regarding the children, which was excellent. ~ P.G. "For a comprehensive, step-by-step guide on the basics of Divorce, you simply can't go past Tracy's book .....a must read...."
"Divorce 101" is a refreshingly practical, hands-on guide written specifically for American women facing divorce. This highly informative book will leave you with a clear understanding of the options available to you when it comes to separation, preparing for divorce, the legal aspects of the divorce process itself, financial and property matters, family violence, custody arrangements, parenting plans, visitation and a whole lot more. Tracy takes the time to point out no-nonsense tips on the do's and don't of divorce. Post-divorce paperwork issues that are often overlooked (particularly the need to do a new Will) are also covered. Barry Roche Author of "How To Win When Facing Divorce"
Get the information you need right now with these straightforward answers to some of the most commonly ask questions concerning divorce. This guide covers pre-divorce issues and concerns, how to get legal assistance, the steps involved in the divorce process, making financial decisions on assets and debts, understanding custody, visitation and support issues, and handling everything once the divorce is finalized. Do I have to file for a divorce to get temporary support? Will I lose everything if I leave? How do I respond if my husband served me with divorce papers? How can I make him move out of the house? Do l have to pay taxes on alimony? Can I move away if I get custody of the kids? Who gets to claim the children for taxes? How do I change back to my maiden name? Many women have a hard time finding divorce information and services for their individual state, so I've compiled all these specific resources into a guide to give you easy access to all the tools youll need during your divorce. Find divorce forms for your state. Hey, I understand what it's like to live from paycheck to paycheck. When you're debating whether you can afford to have pizza delivered, how are you ever going to be able to pay for a lawyer? You have the option of filing your own divorce papers if you and your husband can work everything out peacefully. Look up the statutes on divorce law for your state as they apply in your situation. Learn about the residency requirements for filing, what is taken into consideration when awarding alimony, how property will be divided, and more. Find out what to do if you can't afford an attorney. Find out how to locate free and low cost legal services in your area, as well as mediation services that may be provided through the court system. Use the child support calculator for your state to find out how much support you can expect. 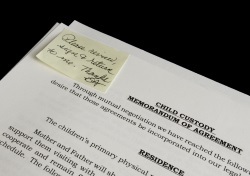 You'll also be able to read the specific child support guidelines to make sure everything is covered. Get assistance if you're in an abusive relationship. You can find domestic violence programs in your area, as well as look up crisis hotlines and shelter information to help you get out. Find divorce support groups in your area. You can talk with other people who understand what you are going through, and find resources to help you deal with your pain and uncertainty as you rebuild your life. Divorce is one of the most painful and disruptive events a woman can experience. Whether you initiated the divorce or feel victimized by it, you will probably undergo a wide range of emotions when your marriage ends. Dealing with your feelings about your ex. You may find yourself blown away by the range of emotions you feel towards your ex. Whether the divorce was your idea or your spouses, the shock and hurt still comes. And it's hard to let go of what might have been. Learn how to deal with the unresolved anger and the frustration that often goes along with divorce. Get tips on how to reconcile your feelings about your ex and move forward so you aren't consumed with what he is doing. Regaining Your Emotional Balance. Is the stress of the whole situation starting to get to you, making you feel irritable, tense, and overwhelmed? Do you find yourself consumed with bitterness over what happened and resentment over your situation? As you read through the book, you'll discover how to rebuild your self confidence, let go of the guilt and depression, and start your journey to a better life as you heal from the hurt and grow as a person. Finding happiness as a single woman. You will learn how to take stock of your present situation; lay out a "game plan" for what you want out of life; and start moving in a positive direction to make new friends and enjoy yourself. Discover how to transform your life, to set the goals needed to attain your ambitions and fulfill your dreams. How to get a handle on the over-whelming grief you are experiencing. Coping with the feeling that you failed in your marriage. How to get past the dazed and confused stage. Building up your self-confidence and getting past the fears that come with divorce. Learning how to face your anger so you can keep the rage from taking over your life. Finding the right people to support you in your divorce recovery. Reclaiming your space and redefining who you are. Putting your fears aside and opening the door to new possibilities in your life. Order now and you qualify for the complete recording for FREE! I realize you probably don't have a lot of money to spare right now, but you need solid information BEFORE you make decisions in your divorce. That's why I'm offering this Divorce Survival Package so it's available and affordable to every woman who needs it. You'll not only receive Divorce 101: A Woman's Guide, but you'll also get the exclusive bonuses mentioned above. to US divorce from a woman's perspective. Get The Information You Need ... Risk Free! Claim YOUR Copy of the Ultimate United States Divorce Survival Package Now! Yes! I am ready to take control of my divorce, stand up for what's right, and make money-smart decisions so I can move past this divorce and start living life on my own terms! Divorce 101: A Woman's Guide with over 250 pages of step-by-step instructions, worksheets, and divorce tips covering all the no B.S. strategies for getting a fair divorce in the United States. The Smart Woman's Guide To Divorce with straight answers to your most pressing questions. 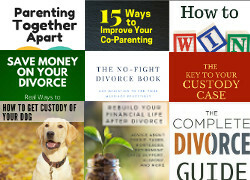 The Ultimate Self-Help Divorce Kit with everything you need to know about divorce in your state, including divorce laws, divorce forms, child support calculators, and more. Surviving The Nightmare of Divorce - Holding it together when everything is falling apart. Adjusting To Post-Divorce Life - Inspiring ideas on how to move forward with your life after divorce. I understand that my copy of Divorce 101 and all the included bonuses will be available immediately as an instant download after my payment is processed. If I'm not 100% satisfied for any reason within the next 60 days, I'll get an immediate refund of my money by simply sending Tracy an e-mail. No questions asked! And finally, I understand that I'm ordering today through a 100% secure server, and my purchase is going to be ABSOLUTELY safe and confidential. P.S. You can keep struggling with your divorce or discover exactly what it takes to be in charge. If you want to understand how the system works and make informed decisions about your future, then you can't afford to miss this comprehensive information. Plus, your satisfaction is 100% guaranteed. Get the US divorce advice you need today!